Want to Buy a Foreclosure? Read These Important Tips First! Low interest rates and a large inventory of foreclosed homes seem very attractive for those looking to buy a home for a low price. Whether you are an investor who is looking to make a profit or a simple home buyer looking for a home for his or her family, foreclosed homes are a great alternative to buying regular homes. However, low prices can quickly make you forget some essential home buying aspects, and you can quickly end up with an expensive problem on your hands. You can get some really great deals on foreclosed homes, but you should pay even more attention than when buying a regular home. Buying a foreclosed home requires a certain degree of experience, in order to protect yourself from buying a home that will require extensive repairs or has some major issues. Here are a few tips that you need to keep in mind when buying a foreclosure. 1. Don’t expect to find out a lot about the home. Foreclosed homes are owned by banks and there won’t be any disclosures when buying such a home. You won’t know who lived in the home before or what kind of people they were. Unless you do some research on your own, you won’t be able to tell what kind of neighborhood the home is located in. You are pretty much buying a home blindly, without finding out too much about the property’s past or present condition. 2. Hire someone who is specialized in foreclosures. Buying a foreclosed home is different than making a normal home purchase. Hiring an agent that specializes in foreclosures can make this process significantly easier and save you from some trouble. When making a purchase like this, you need to move quickly and have all the paperwork ready when it’s needed. A real estate agent specialized in foreclosures can be of great help with having everything ready on time. A professional can also use his or her contacts in order to help you find more foreclosed homes than you would on your own. 3. Have financing available before you start looking at foreclosed homes. Just like you would when purchasing any other home, you should be at least prequalified for a loan before shopping around. By doing this, you will know how much you can afford to pay for a foreclosed home, which will make searching for the right one much easier. More importantly, you will be able to make the purchase much quicker, and lower the risk of losing the home to another buyer. 4. Prepare for repairs and improvements. Many home owners whose homes were foreclosed might have left the home in a poor state, or even stolen some of the appliances or fixtures. You, the buyer, will be responsible with home repair and replacing all of the missing or broken appliances and fixtures. An alternative would be to apply for a 203(K) mortgage, which is designed for those who are buying a home that is missing certain elements, like toilets, or needs other repair work. 5. Determine if a foreclosed home is right for you. Especially if you are a first time home buyer, buying a foreclosed home might not be your best option. Most people, especially first time home buyers, generally want a home that they can move into without having to do many modifications or repairs in the beginning. Most foreclosed homes will almost always need some sort of repairs or improvements, so you should ask yourself if that is something that you are willing to do before buying a foreclosed home. Foreclosures can be good deals as long as you know what you are doing, and have proper knowledge of the process of buying a foreclosed home. You have to know how to prepare for such a purchase and what problems you may encounter in order for this to be a great alternative to making a regular home purchase. Many investors who are affected by the stock market’s rising volatility and the near historical low interest rates are looking for an alternative that will generate a good return. One of these alternatives is investing in property tax liens, an investment which has the potential for providing great rates of return, but it also features a high risk, especially for those who are new to investing. When a home owner doesn’t pay local or county taxes on his or her property anymore, then the city or county places a lien on the property. Having a lien on your property makes it impossible for you to sell or refinance your home until the taxes are paid. A popular practice is for the taxing authority to sell these property liens to the highest bidder at an auction. By selling property liens to third parties, the city or county in which the property is located has the chance to recover the money that should have been paid by the home owner as property taxes. When the taxing authority issues a lien on a property, they create a tax lien certificate which shows how much is owed and any penalties. These certificates are then sold at an auction or through an online auction to the highest bidder. Investors have a chance to buy the tax lien certificates sometimes for as little as a few hundred dollars, but most of the time they will cost much more. After buying a tax lien certificate, the investor gains the right to all the tax-related debt on the property, as well as the interest. 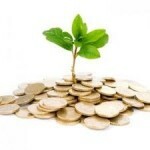 The investor will collect the interest, which is assigned by the taxing authority, until the debt is paid off. The repayment period usually lasts from 6 months to 3 years. If the repayment period has ended and the debt isn’t paid off, the investor has the right to foreclose on the property. This usually doesn’t happen, because most home owners manage to repay their debt on time. The investor can also become the owner of the property for a small percent of the market value of the home. The investor has to make sure that he or she knows the property value before investing into a property tax lien. Investing your money before having the property inspected is very risky, as the property owner may have neglected making repairs, so the home may be worth less than you were expecting, or even be worthless. The home owner may declare bankruptcy. If the owner of the property declares bankruptcy after you have invested in the property’s tax lien, then your home investment may be at risk, because the Internal Revenue Service can have other claims on the home, which will make your tax lien worthless. There may be other liens on the property. Having a title search on the property that you are about to invest in is very important, as it may have other outstanding liens, making it impossible for you to make a profit until the debt is paid off. Property tax liens are a smart investment, but only if you are an experienced investor. Beginner investors can have success in this business, as well, but it is much easier for them to fall into a trap and end up losing money. Researching the property that you are about to invest in, and having a clear understanding of the property tax lien investment process will ensure that you make a good investment that will generate a profit, without having unpleasant and expensive surprises along the way. Attracting and keeping great tenants is paramount to long term success in real estate investing. Vacant property means lost revenue, so you want to keep tenants with hopefully long-term potential; having tenants in and out constantly will be stressful and time consuming for you. Your bank account will be thankful if mortgage repayments on the property are made by tenants and not you! In most cases, managing your own property becomes a bit easier than managing your tenants. As careful as you may be in choosing tenants, you are still susceptible to getting bad ones. Paired with a solid lease agreement, following a few other guidelines will ensure that you have the best tenants in your property. You may have the best property in town, but is it located in a place where people want to live? People may be turned off if your property is located too far from schools, shopping centers, work, gas stations or public transport. The property must meet the lifestyle requirements of potential tenants. Focus on areas that are equipped with social amenities, entertainment hubs, employment opportunities, education centers, retail centers, and a vibrant neighborhood. Even though not all of these are critical, many tenants will consider at least some of these factors in the surrounding area when deciding on a rental. The general rule of thumb is that the better a home is, the better the tenant(s) it will manage to attract. A well-maintained home with curb appeal is likely to attract a better tenant. The more updated the house and its amenities, the better. Other than attracting and retaining great tenants, this will also help you command a higher rent price. The first impression is always critical. You can turn off a potentially great tenant if the initial impression doesn’t meet their standards. If the potential tenant sees a well-maintained home, they will more than likely want to take care of the property as if it were their own. Not only does your property need to impress them, but you need to impress them with your professional manner and dress. If you are hiring an agent to handle your property, be sure they exude the professionalism you expect. Screening a potential tenant may not seem to be a very friendly tactic but you can present yourself as a serious and motivated landlord. It’s important that you do this so you don’t waste your time with tenants who aren’t serious. During the screening process, the potential tenant may reveal some red flags that will give you the tip-off that they may not be the best fit for you and your property. Scrutinize all of the tenant applications very carefully. 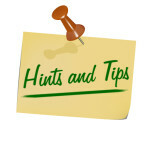 Any inconsistencies in providing information should hint to the type of tenant they have been before. Through a background check, confirm whether the client has a criminal record and also call to confirm previous addresses. You may also consider checking their business and personal references to give you a valuable insight about their conduct. Families traditionally stay longer in one place than single tenants. Generally, families with school-age children will want to stay at the same school and avoid moving too often for the children’s sake at least. Families have more of a tendency to maintain a cared-for home because they take pride in making the home a clean and enjoyable place to live. A good tenant is an asset that adds to your net worth. If you find a suitable and responsible tenant, you should strive to look after them and the property so they hopefully stay as long as possible. If they always pay their rent in on-time, then you should ensure that you promptly attend to any problems with the home. You should also consider locking-in the rent price so the tenants can plan their budgets accordingly. If you do want to raise the rent price, be prepared to explain why and give the tenants plenty of notice to decide if they are ok with this price or want to move out. 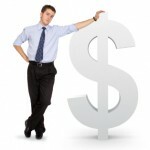 When deciding how much to charge tenants for rent, you should be very realistic. You should take into account current market prices, condition of the property and the location, among other factors. If you have taken all these factors into account and still have no renter possibilities, consider revising the price again. A slight difference between your rent price and what other similar, nearby properties are asking for may cost you a potential tenant. It’s better to lower the price a little and make a smaller profit than incur huge losses by leaving the property idle. This applies if you are not the one managing your property. Before you decide to hire a property manager, check their reputation from reviews and do online research. Since they are representing you, they should have your best interests in dealing with your tenants. Asking friends, acquaintances and family members can help you find a good property manager. As a good leasing agent, you should know where potential tenants are going to get information about the best properties in an area. They may be using newspapers, trade publications, websites, brokers, local periodicals, among other resources. Once you discover what mediums are being used the most by potential tenants, you can invest in advertising your services there. Securing and keeping exceptional tenants needs more than just advertising; you need a network for the real estate industry. Advertising will attract some potential clients, but referrals from other clients are typically going to be your best source of finding clients. If you treat your tenants professionally and respectfully, then they are likely to refer others to you. You can develop this network in part by your online activity, especially with blogs, fan pages, and other social media networking. Real estate, like any other industry, has its ups and downs. Investing in real estate is a tough industry but has a multitude of opportunities and options for you to become a landlord, flip properties for profit, or even invest in your own home. 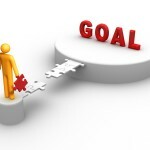 However, finding and keeping great tenants typically presents the greatest challenge. Follow these steps to help attract and maintain ideal tenants in your properties for financial stability and stress-free business. Buying a home at a real estate auction can prove to be very profitable, if done right. Home auctions have become a very popular way of buying and selling quicker than through the regular process. Auctions attract plenty of home buyers and investors who are looking to get a good deal, and can also be a great opportunity for sellers who need to make a quick sale. Home auctions are conducted by government agencies or specialized firms who act as an intermediary between the buyer and the seller, making it unnecessary for a real estate agent to represent you. Homes bought at real estate auctions have the potential of being the best real estate deals you can find, but they are also the riskiest way of buying a home. Properties can be bought with discounts of up to 70 percent of their housing market value, but there is also the possibility of ending up with a property that will cost you more than the market value because you have to invest significantly into repairs. There are three types of auctions used to sell homes. One type is the absolute auction, in which the buyer who offers the largest amount of money gets to buy the property. The sale is guaranteed at an absolute auction, so this will attract a large number of home buyers and investors. Another type of auction is the one who uses a minimum bid, minimizing the seller’s risk. The third type of auction is the one where a reserve can be used, allowing the seller to accept or refuse an offer, based on the amount offered. This way, the seller has more control over the selling price, but the auction won’t attract as many potential buyers. Home auctions are normally held by professional auction firms. 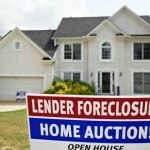 In order to recuperate some of the taxes and cost of maintaining foreclosed properties, the auctions are also hosted by banks or government agencies. Auction companies can organize auctions for real estate agents, banks, or individuals who want to sell quicker than it would normally take to sell a home. The auction organizer will normally receive a small percent of the final sale price. Buyers who take part in a home auction have a chance of making a great deal, and purchasing a home at a price much lower than market value. Another benefit is that there is very little negotiation involved, and the whole purchase time is a lot lower than when buying a home the conventional way. The seller also has the advantage of selling his or her property a lot faster than by going through the regular home selling process. All the people who attend the home auction are potential buyers and, because homes are sold “as is”, the seller isn’t required to make appointments and show the home. Make sure you have financing readily available before attending the auction. By doing this, you will know exactly how much you can spend, helping you narrow down the properties that you can bid on. Find a home that meets your criteria. Obtain a list of all the auctioned properties and research them until you find something that meets your needs. If you’re not familiar with how to evaluate a home and estimate repair costs, then hiring a professional is something that will probably save you a lot of money. Inspect the home before bidding. The description in the auction catalog might not be too accurate, so visiting the property and seeing it with your own eyes is always a better choice. You can also talk to the owners if they are willing to answer some of your questions. Check for second mortgages and if taxes are owed on the property. The IRS can seize a property even after the auction sale was completed, if there are any taxes owed by the previous owners. Bring with you the amount of money that you will have to put down as deposit. Most auctions require a $10,000 or a 10 percent deposit, which is nonrefundable. If everything goes smoothly and your bid wins, you will have to sign a purchase contract and a bid confirmation. Within 30 days of winning the auction, the closing will take place and the property title will be transferred from the seller to you. Home auctions provide an excellent opportunity for finding a great investment property or a home for yourself at a great price. But before attending such an event, you will have to make sure you understand the process of buying a home through a home auction, and what risks this involves. If you have done your homework, you will find that home auctions provide great advantages for all parties involved, giving you the chance of becoming a home buyer quicker and for less money. The housing bubble burst that happened a few years ago resulted in a lot of investors losing their money, and made real estate investing seem like a scary thing to put your money in. Fortunately, low prices and near record low interest rates make this the best time to invest in real estate. Not only that, but the economy seems to be on the right track to recovery, which means that prices and interest rates have already started to increase, and do not seem like they are about to stop their growing trend. The recent economic crisis created many opportunities for those who have the means to invest in real estate. The high volume of recent foreclosures has created a larger pool of renters, which means that rental properties are a better investment than ever. Finding people to rent your properties should be easier now with more and more people finding jobs, and selling properties for a profit should be getting easier as well. Mortgage rates are still at near record lows, which means that investing in properties is even more profitable. However, rates have already started to climb, so there isn’t too much time to take advantage of them. Add to this the fact that real estate prices are currently very low, and you have higher chances of making a lot of money by investing in this current market. Investing in short sales is also a great opportunity right now, as more people prefer this option to foreclosure. Buying a short sale is a much better option than buying a foreclosed property, because there are bigger chances of a property being vandalized since it was foreclosed. No matter what happens in the future, investing in real estate is still a good long-term investment. Current real estate prices are higher than they were thirty years ago, and having tenants makes the investment even more profitable. Recent forecasts predict that mortgage rates will continue to increase over the next couple of years, but not significantly. Of course, even a 1 percent increase in interest rates will cost the investor a relatively large amount of money, but the increase will most likely come slowly without taking anyone by surprise. At only 2 percent per year, the economic growth is slower than anticipated, which means that mortgage rates will also slowly increase over time. The only thing that would stop the economic growth and rates increase would be a new war or a new economic crisis in Europe. Currently, the job market is also experiencing a steady growth, meaning that more people will be relocating and looking for new homes or rentals, to the advantage of the investor. Even if mortgage rates go over 4.5 percent in 2014, they will still be lower than before the economic crisis, keeping real estate investing still more affordable than ever. Low mortgage rates are creating the perfect opportunity for investors to make a nice profit, but 2013 may as well be the last chance you will get to take advantage of rates this low. The good news is that any increase in mortgage rates comes slowly, so real estate investors can still make a profit in the near future. While rates are, indeed, increasing, so is the number of people who are looking for a home or a rental, so, even if the profits won’t be so great as the rates increase, the number of opportunities to make a profit will be greater in the years to come. 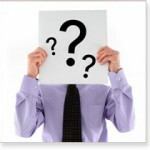 Many real estate investors don’t mind whether they are considered an investor or a dealer. The difference between the two can have a big impact on how much money you make in this business. Real estate investors benefit from several tax advantages, while dealers do not. The biggest difference is that investors are taxed at the capital gains rate while the dealers’ profits are taxed like regular income, which can be significantly higher. It’s up to the Internal Revenue Service (IRS) to determine who is taxed with each rate. A real estate investor is someone whose main goal is to purchase a property from which he or she can generate a profit. The profit is made by selling or renting the property to other parties. One of the options that a real estate investor has when purchasing a property is to finance it with a loan. Other real estate investors, ones who have a better financial situation, choose to purchase the property without getting a bank loan. The goal is to sell the property for a profit when the prices increase. If the property’s value increases over time, the real estate investor will be able to receive a large return on their investment. Some real estate investors choose to rent a property that they have purchased, generating a profit through rental income. The real estate investor becomes a landlord, with the responsibility of providing proper living conditions for the tenants, and maintains the property. The investor must determine the cost of running a rental property, taking into account things like repairs, regular maintenance, taxes, insurance and mortgage. After determining all of these costs, he or she can determine the appropriate rent amount that the tenants will be charged. What is a Real Estate Dealer? Dealers, like real estate investors, buy and sell properties for a profit as fast as possible. While real estate investors make long-term investments in properties, dealers are in it for the quick profit, and try to resell their purchases as soon as they can. The Internal Revenue Service doesn’t allow real estate dealers, who are basically short-term investors, to benefit from the same tax rate that real estate investors benefit. Real estate investors are charged a long term capital tax rate, which is much lower than the rate that real estate dealers get from the IRS. Ownership Duration. If you own several properties for less than 2 years, you will most likely be considered a real estate dealer. If you hold on to properties for more than 2 years, they will be considered investments, and you will be classified as a real estate investor. Statement of Intent. If your intentions of buying and reselling are expressed, then you will be considered a real estate dealer. The Level of Advertising. Significant advertising and strong efforts to sell will be regarded as a real estate dealer tactic. Number of Sales. The more sales you have over time, the greater the chance that you will be regarded as a real estate dealer by the IRS. There are no fixed criteria to determine if you are a real estate investor or a dealer. The difference in tax between the two is significant, but it is up to you to decide if being a real estate dealer is worth the extra money that you will have to pay to the Internal Revenue Service. Understanding the difference between a real estate dealer and an investor will be important for your ability to take advantage of the lower tax rate, and save you a considerable amount of money. Rental properties are great investments, especially in today’s housing market. But in order to become successful as a landlord, you will need to make your tenants happy. Managing rental property is as much about the people as it is about making sure that the building is properly maintained, but there are many more aspects to being a successful landlord. Here are some tips that will set you apart from the “average” landlord, and help make your business easier to run and more profitable. 1. Check references. Don’t rely solely on first impressions or instinct when meeting a new tenant. People who seem great at first impression can become a nightmare in the future, so checking them thoroughly before signing a contract is important if you want to avoid any future headaches. Besides the credit history and background check, always ask tenants for references as well as a list of previous residences and follow up on them. 2. Keep records. In order to succeed as a rental property owner, you must know how to manage your property. Managing a rental property is a lot more difficult than managing a single-family home, so handling your finances in an organized way is the only way to make it in this business. 3. Have a policy. In order to protect your interests and the interests of your tenants, you will need a written agreement that includes the terms and conditions of tenancy. Make sure that this agreement includes many details, such as rules about pets and smoking in the rented unit. 4. Stick to your policy. Being organized is not only more beneficial to you and your business, but it also makes a good impression on tenants. Having a written policy makes your life and your tenants’ life a lot easier because you won’t have to explain yourself each time a tenant asks you why something is not allowed. If you have a written policy, you can just refer people who have questions to the document. 5. Provide quality. If your rental property offers quality, then quality tenants will be attracted. You don’t have to go overboard and invest significant money in remodeling, but providing above average quality will set a standard for the type of tenants that you want to attract. 6. Hire help if you need it. Doing everything by yourself can save you money, but it can also turn into a full-time job. Your involvement in the daily operations depends on how handy you are with repairs, how much time you have, and how close to the rental property you live. If you feel that being a landlord is taking too much of your time, you can always hire a property manager that can take care of the daily issues. This will cut into your profits, but it can also save you time and aggravation. 7. Do regular maintenance. Catching a problem with your rental property early on can save you quite a bit of money. Problems with the roof or the water heater can quickly escalate and cost you thousands to repair. Keep a log of all the appliances and fixtures, the times when they were changed, and when they need to be replaced. This way, you can shop around for better prices and take advantage of sales. 8. Have an emergency fund. Unexpected vacancies or repairs can happen at any time, so it is recommended to have some emergency cash on hand. When things break on your rental property, it is your duty to repair them as soon as possible, and not being able to may attract some trouble with your tenants. 9. Know the local rental laws. Many landlords get into trouble because they haven’t familiarized themselves with the local law. One of the biggest reasons that landlords are sued by their tenants is the security deposit. If you don’t follow the local law, you might end up having to return a tenant’s security deposit even if the tenant has damaged your unit. 10. Set contact hours. Let all your tenants know when you are available, so you won’t end up having to make repairs at night or during holidays. You can also set up a voicemail, so when a tenant calls outside of office hours, he or she can leave a message. However, it is recommended that you allow potential tenants to call at any time when you try to rent out a unit. Taking care of your responsibilities with the unit and tenants as quickly as efficiently as possible is beneficial to everyone. Being a successful real estate investor and landlord boils down to being a good business person and keeping your tenants happy. By having the right attitude and knowledge, you can quickly turn being a landlord into a very profitable business. Selling a home takes a lot of preparation and work, and it’s not as easy as it would seem to be. The process of selling your home should be treated with seriousness, as this will make the difference between getting a good deal or a bad one. By selling a home without the help of a realtor, it is possible to save money on commissions, but this shouldn’t be the only factor in your decision to go with a realtor or sell the property yourself. Before making your choice, make sure that you know what the home selling process involves, so you can decide if you can handle it yourself or hire a realtor. Weigh in the advantages of each option before making a decision. This article will present the most important pros of selling by owner or by realtor, helping you make the best choice. Save money. Real estate commissions can be fairly large, but they can be avoided by selling your home without hiring a real estate agent. For example, a 6 percent commission on a $180,000 house will be over $10,000, and that’s a significant amount of money you would be saving if you handled the sale yourself. Some of the selling costs may even be tax-deductible, so you will be saving some money there, as well. Sell faster. When selling by realtor, there is a big chance that your home won’t sell as fast as if you did it alone. This may be caused by the fact that the price will probably have to be higher in order to compensate for the realtor’s commission. The buyer will offer less when finding out that you are using a realtor, which will probably lead to negotiations that can further delay the sale. An overpriced house will sit on the market a lot longer, and possibly lead buyers to believe that there is something wrong with it since it hasn’t sold yet. Market immunity. Selling by owner won’t be very difficult in both buyer’s and seller’s markets. In a buyer’s market, by selling your home on your own, you can afford to be more competitive with the price, and sell faster than owners who have hired a real estate agent. Selling by owner in a seller’s market allows you to hold on to a maximum amount of equity. More convenient. When selling your own home, you can schedule appointments whenever it is more convenient for you; you don’t have to keep your home extra clean just in case an agent wants to show it on short notice and you don’t have to leave the house while an agent is showing. Knowing when someone is going to come and see the house will save you a lot of hassle and will allow you to prepare your home in time for the showing without being hurried. Less stressful. Finding a new home and moving is stressful enough, without having to worry if your real estate agent is doing their best to sell your home. By being in control when selling your home, you will have fewer things to worry about because you will be the one who is meeting the potential buyers and finding out how interested they are. Not having to wonder what is going on all the time or why no one has made an offer yet will save you headaches. Pricing your home easier. Real estate agents have proper knowledge of the current housing market conditions, meaning that they will know what similar properties are selling for in the area. 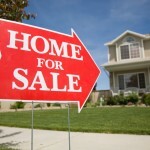 Knowing how much to ask for your home without having it sit for months on the market is really important when selling. With their marketing resources and real estate connections, a realtor can better establish what the best asking price for your home will be. Better exposure. Selling by realtor will help get your home more exposure on the market. Your realtor will know how to do this best, whether by creating flyers or posters, having an open house, or by other means. 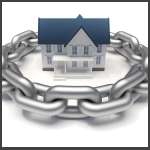 He or she can also use his contacts in the real estate industry network to get the word out about your property. More security. When selling a home on your own, you will have to show it to potential buyers. While this can be very convenient, you must keep in mind that you are inviting strangers in your home. A real estate agent has experience in dealing with buyers, and they will usually screen them through their real estate agency before allowing them to see your home. Less emotional involvement. Selling your home can be a very emotional process, which can interfere with good decision making, causing you to sell your home for less than it’s worth or holding on to it because no one will buy it at the price you think it’s worth. Having a professional that has no emotional involvement and looks out for your best interests might be the better choice when selling your home. As you can see, there are advantages to both selling your home by owner and by realtor. In the end, it is up to you to figure out your situation and decide if you want to go through the home selling process alone or with the help of a professional. Either way, you should inform yourself as much as possible on this matter so you make the best decision for you and save as much money as possible. Many industries have suffered due to the recent economic recession and are currently slowly recovering. One of these industries is real estate, which is not as profitable as it once was, but remains an attractive industry for investors. Real estate, like many other industries, has recently started to show improvement, and it looks like it will keep improving over the next years. For someone with less experience and knowledge, real estate may seem like a pretty difficult industry to invest in, especially during these times. Fortunately, by learning a few techniques, any investor who possesses the right determination can make it in this business. In this article you will find the three main techniques that you need to master in real estate investing. A good alternative for people who are unable to get approved for a mortgage loan is the lease purchase. This gives the tenant the option of buying the home that he is renting, but at a later date. A fairly large number of potential home buyers are unable to obtain a mortgage loan, due to loan requirements becoming stricter. This has created a large number of people and families who are renting because they have no other choice. Lease purchase gives them the option of purchasing the rental before the lease term is up, and even the possibility of allowing part of each rent payment to go towards the purchase price. This is a great opportunity for those who are unable to get mortgage financing, and for the real estate investor. Because of the housing market being in recovery, you have a significant number of homes that won’t sell because sellers won’t budge on the price. Additionally, there are a significant number of people looking to buy, but can’t qualify for loans. In order to make a profit, you must find a seller willing to agree to a lease purchase option, and then find him a tenant buyer. Bringing the two together will resolve both their problems and get you a nice commission. Because both the seller and the buyer are motivated to move quickly, the transaction shouldn’t take more than a few weeks to finish. You could make huge profits from investing in foreclosures, but if you don’t have the proper knowledge, a single bad investment can wipe out all of your capital, along with ambition to invest in real estate. There are three ways in which you can buy homes in foreclosure: pre-foreclosure, at the auction, or buying from the lender after the foreclosure. Buying a foreclosed property from the lender after the auction is referred to as buying REOs (real estate owned), and it’s the less risky option of the three. The next riskiest time to purchase a property is pre-foreclosure, because the home can have many issues that the seller didn’t disclose. The riskiest purchase is buying a foreclosed property at the auction. You won’t receive any warranty or guarantees that the home is free of any outstanding liens or loans. The best way to buy a foreclosed property is to find a good REO agent that has the necessary experience to make sure that the transaction goes smoothly and you get a good deal. Sometimes, real estate agents who are specialized in REOs have a few foreclosure listings that need to be sold fast, so they will be searching for an investor who can make the purchase quickly. If you have good relationships with a real estate agent, the first person he calls could be you, helping you secure a good deal in a short time. Many home owners who have found themselves underwater on mortgage loans might require a short sale. This is a great opportunity for the real estate investor to make some serious profit. You can negotiate a good price with the homeowner or with the short sale lender, buy the home, and then flip it for a profit. Like in the case of foreclosure investing, finding a good real estate agent can make a huge difference. The agent can locate properties for you, help you with your investment plan, and help you negotiate a better price. These three real estate investing techniques can make you very successful if you use them wisely. You must remember that not all properties that seem like a good deal are worth investing in. Familiarize yourself with these techniques, with the investing process, and don’t be afraid to consult a real estate agent. Even if you have done your homework, agents have the necessary relationships to help you find great deals faster than other investors, and get you one step closer to becoming a great real estate investor. When investing in real estate, one of the most important rules that you should follow is that not all leads are deals. New investors may get excited when they start generating real estate leads as they’re starting out, but a seasoned investor knows that they will never have time to contact everyone, so a screening system has to be used. Some leads have the potential to make you a great deal of money, while others may turn out to be a waste of time, so this is another great reason to pre-screen your leads. Time is money, so spending too much of it on leads that may turn out to not be good investment opportunities will limit your opportunity to earn big profits from investing in real estate. Even if your marketing is top-notch, and you get a significant amount of leads, it won’t be beneficial if you can’t distinguish leads that you should follow from leads that you shouldn’t. Find out why they’re selling. This bit of information won’t directly allow you to decide how profitable a deal is, but it can help you determine how ready the homeowner is to sell his property. Usually, homeowners who really want to sell their home will tell you the reason, while those who won’t, probably aren’t ready to sell. Find out the asking price. Knowing how much a homeowner is expecting to make by selling their home can help you come up with an initial offer much more easily. Find out how much the repairs will cost. You shouldn’t base your decision solely on what the seller tells you in regards to what repairs need to be done, but you can get a general idea. Of course, before buying a home, you should have a professional home inspector look at it to determine if it has any problems that will be expensive to repair. Find out if there are any outstanding debts. Knowing if there are any unpaid loans in the property will help you better determine how much you should pay for the home and how good of a deal it is. Pre-screening your leads will allow you to avoid making some big mistakes that will cost you money and time, or may even put you out of business. Real estate investing is one industry where you have to be really careful before spending money. Simple mistakes can turn into costly problems overnight, so always make sure that you closely verify all the leads before investing, no matter how appealing they may seem.